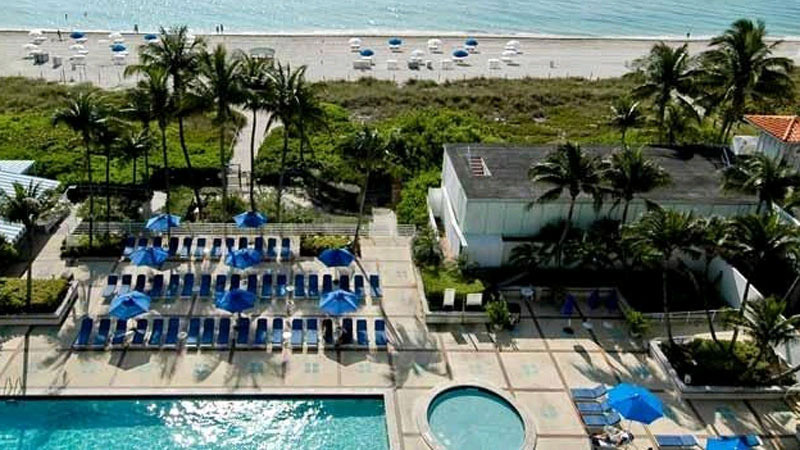 A real seafront retreat, this classic Miami hotel is located just minutes from downtown Miami. Relax by the pool, indulge in his 'n' hers spa treatments, or try water sports and deep sea fishing. 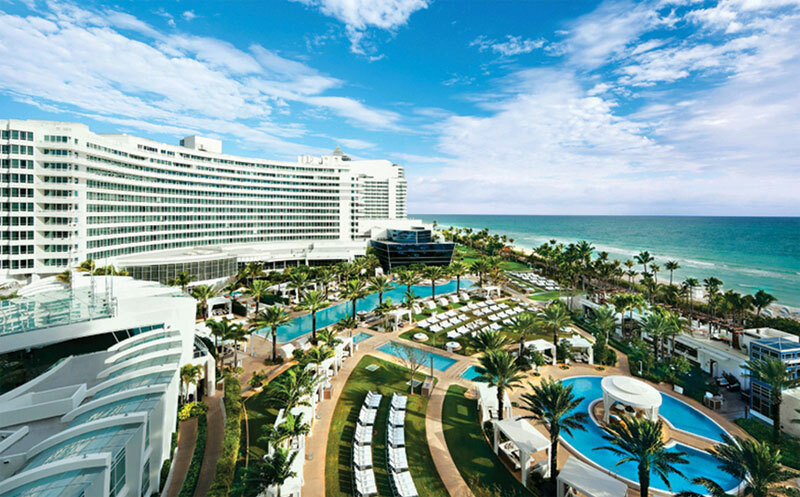 The strip of sand in front of the Miami Beach Resort & Spa is all sugary white sand, cyan sea and swaying palms - exactly how you'd imagine Florida to look. Plus, all the rooms here have floor-to-ceiling windows, giving you some pretty good VISTAs of the Atlantic Ocean and the Intracoastal Waterway. Elegantly designed, with a calm atmosphere and excellent service, this Miami hotel has everything you need for a dreamy holiday by the sea. 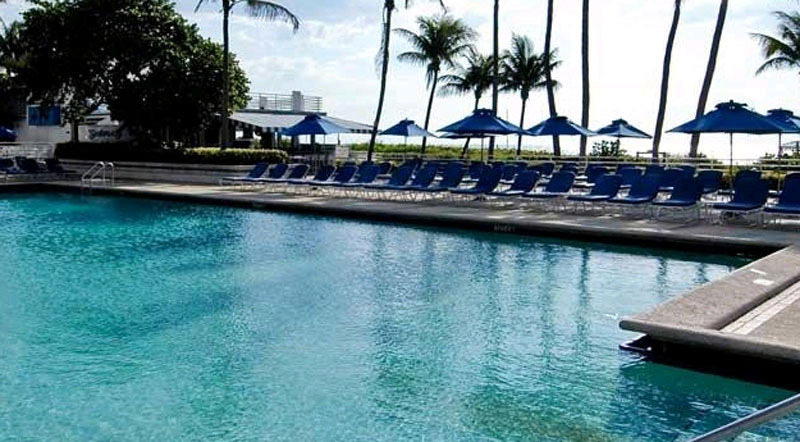 You'll find all the facilities you'd expect from a four star Miami hotel at the Miami Beach Resort & Spa. Enjoy direct access to the white sandy beach, a heated outdoor pool, spa, massage, beauty treatments and hairdresser, concierge and a well-equipped fitness centre. This Miami hotel offers a great range of dining options: Breakfast is served by the pool at Hibiscus Court, or if you're in a hurry, you can grab something quick from Poquito to Go. Seabreeze Bar and Grill offers burgers, salads and sandwiches, whilst Ocean Bar & Grill serves up American and island-themed dishes with a casual ambience. 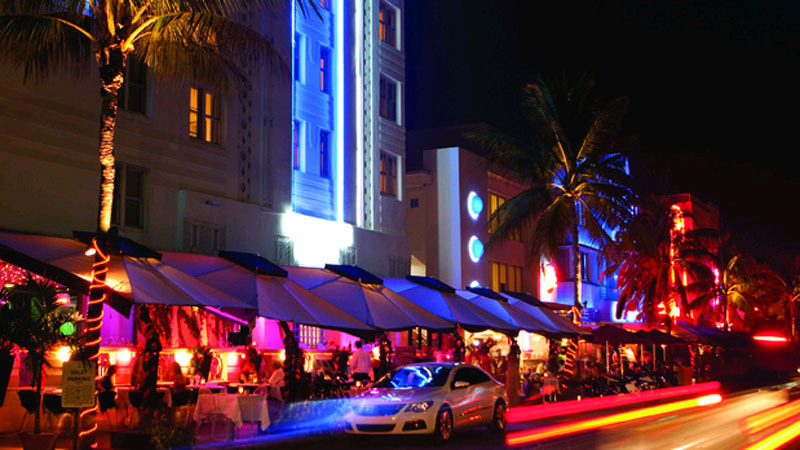 If you'd prefer to eat in the comfort of your Miami hotel room, you can order room service between 6.30 am and 11pm. 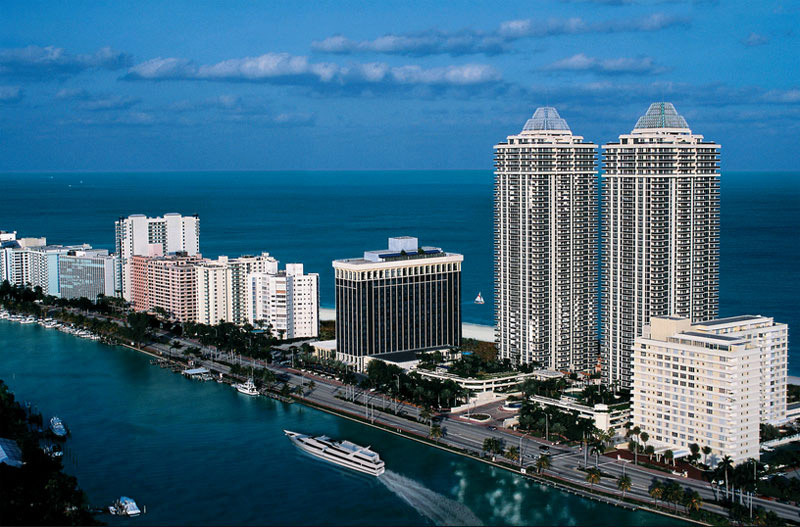 The prime location of this seafront hotel in Miami makes it just perfect for watersports - and there are plenty of these available at the in-house Aqua Sports Center: try jet skiing, parasailing, boat rental, deep-sea fishing, scuba diving and yacht tours. 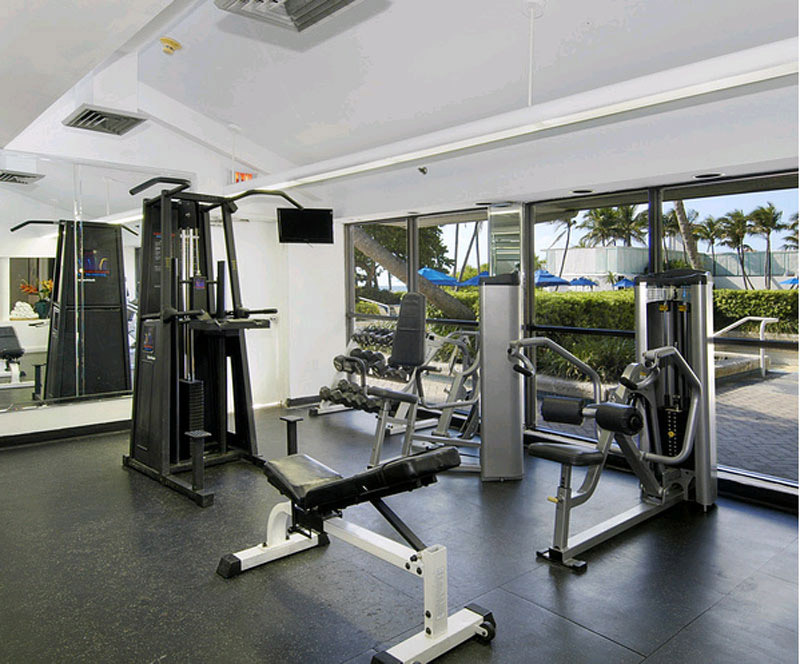 On dry land, play volleyball on the pristine beach, or work out in the 24 hour fitness club. Guests at the Miami Beach Resort & Spa also have premium access to the famous Miami Beach Golf Club, just three miles away from the hotel. 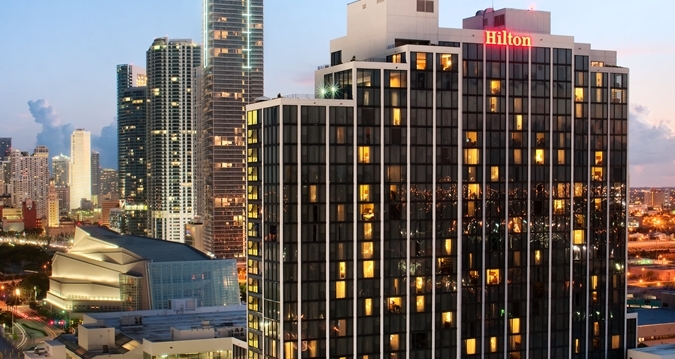 There are 424 elegant rooms and suites at this four star Miami hotel. All have floor to ceiling windows, premium cable television and free high-speed windows. 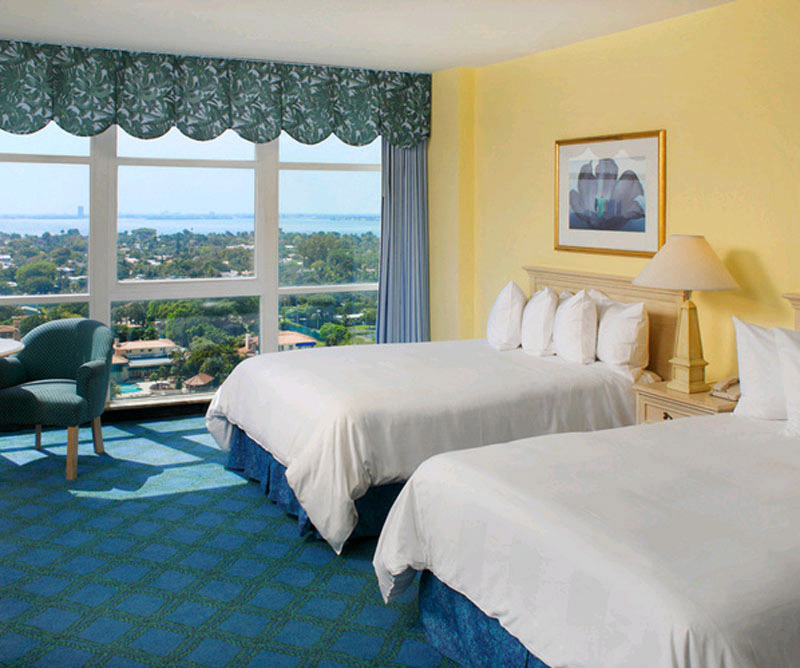 Entry-level Partial Water View Rooms have 300 square feet of space, one king or two double beds, partial views of the Atlantic Ocean and Intracoastal Waterway, alarm clock / radio, hair dryer, iron and board, mini-bar and coffee machine.